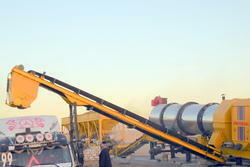 We are manufacturer & exporter of asphalt plants upto 120 tph. 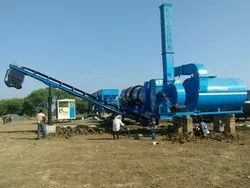 Our Double Drum Asphalt Plant is manufactured for mid and large capacity asphalt production where in the process of making asphalt is different then contonious asphalt plant. The process of Drying / Heating is done in a counterflow drum where as mixing is done the other drum. Stationary Asphalt Drum Mix Plantis principally used by in construction of roads on small or medium scale. With our expertise and trustworthiness, we are engaged in offering an optimum quality range of Asphalt Mixers. Tank Capacity (l): 20000 Ltrs. Rotation Speed: 17 R/ Min.